Indiana-Michigan Mennonite Conference | a community of congregations joyfully following Jesus...engaging the world God loves. 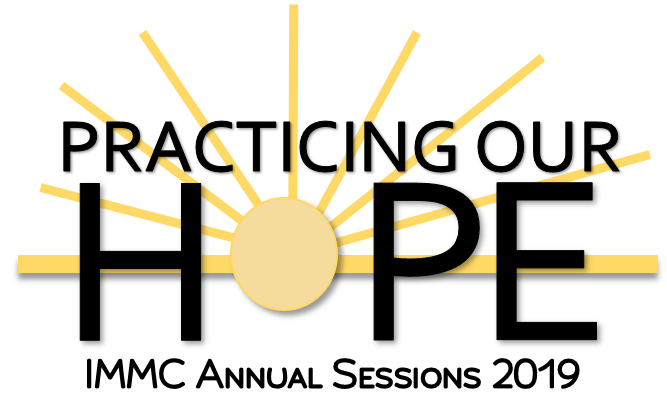 Learn more about how to participate in this year’s Annual Sessions: Practicing Our Hope! Learn more about our history and our vision. Connect with our Staff, our Leadership Teams, or find the contact information for one of our IMMC Congregations. 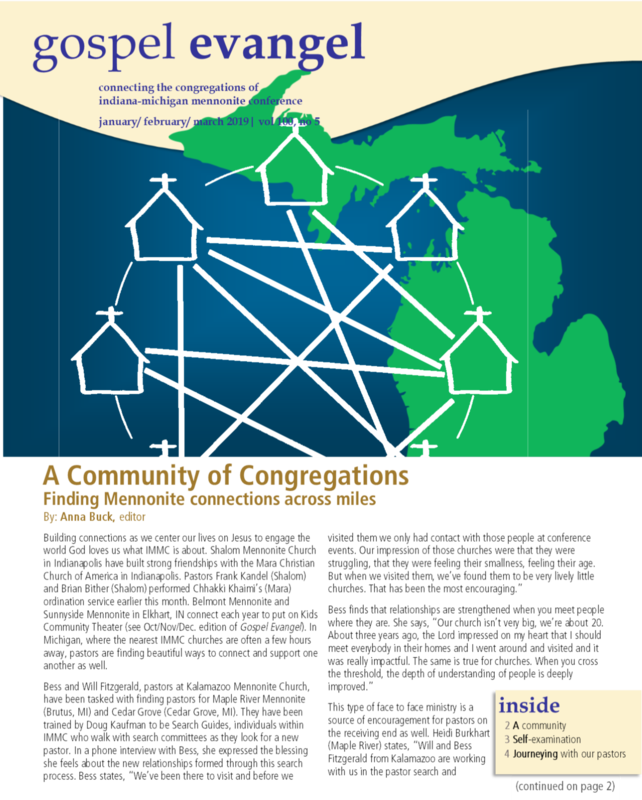 Gospel Evangel is a quarterly publication of IN-MI Mennonite Conference connecting congregations to each other and to conference organizations. Online versions of the publication are available by clicking the button below.